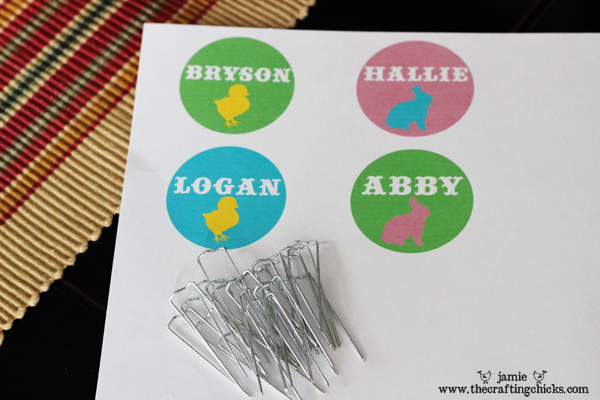 Here is a cute idea for place card holders for any Easter party, brunch or lunch! How cute are these mini baskets! Your little ones will love them! 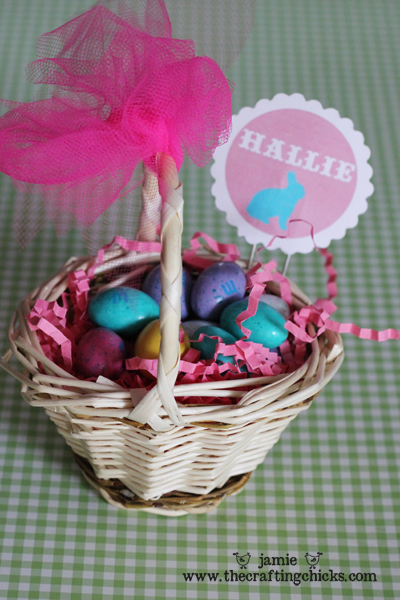 I just filled the mini baskets with Easter grass (I’m loving the hot pink and bright green!) and then added a tulle ribbon. Then take the floral pins and add the name tags on with some tape and then you can stick the floral pins into the sides of the baskets. 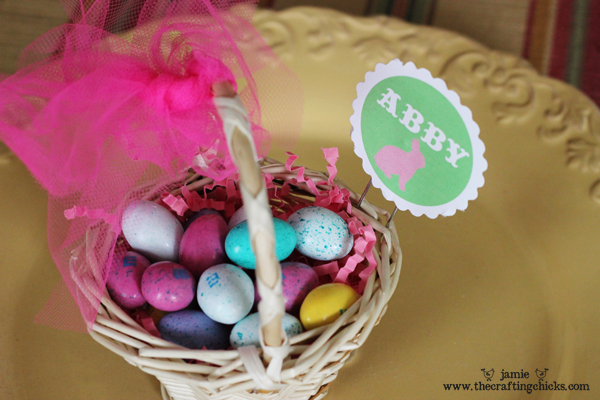 Then of course add some speckled egg treats. I just thought these were fun to share. 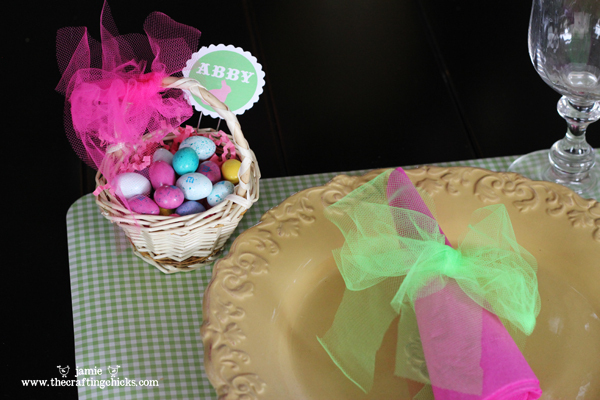 I love how easy and simple they were to throw together and how fun they make your place settings! 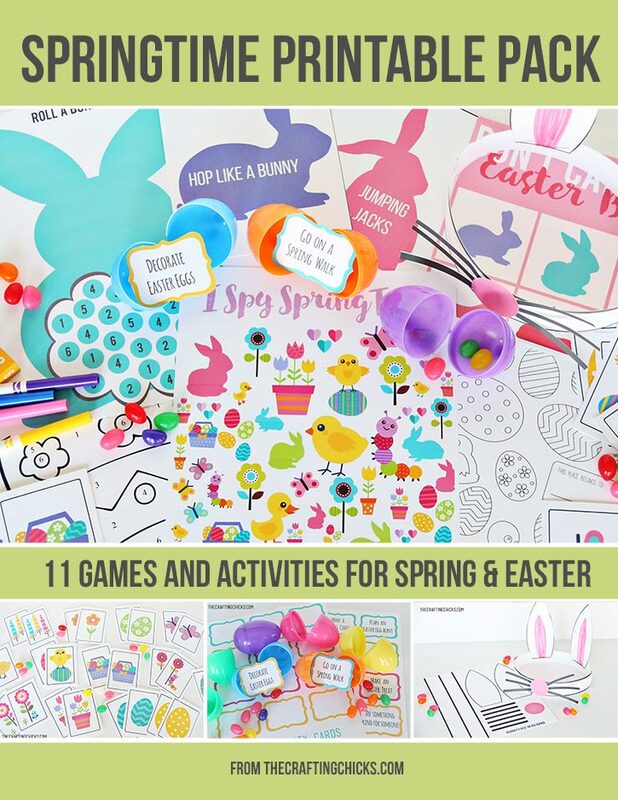 For more Easter and Springtime fun check out our Springtime Printable Pack. Thank you so much for this post. I want to let you know that I posted a link to your blog in CBH Digital Scrapbooking Freebies, under the Page 6 post on Apr. 13, 2011. Thanks again. Oh my! These are adorable. Can’t wait to make some of these! Thsoe are waY CUTE. 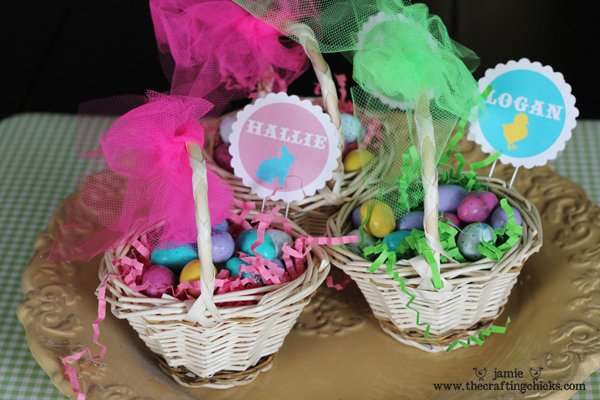 I made easter baskets out of a terra cotta pot for my daughters dance class. They were so cute! Are these printables still available for editing? I tried to get them today and it states that the link is not there. They are so cute!! I am having trouble with the link as well. The link is fixed now, so it should work again. Thanks! It’s our tradition to hide the Easter Basket and they get to find it somewhere. I am printing these tags and putting them on my boys’ baskets so there is no question whose is whose. Thanks! these are adorb! thanks for sharing~ i willl def attempt these.